Becca Rosenblatt directing in Madison, Wisconsin. Since graduating from North Penn in 2014, Becca Rosenblatt has gone on to do great things at Temple University and pursue her passion for television in Madison, Wisconsin. As a student at North Penn, Rosenblatt was involved with the theatre program, the Thespian troupe, NPTV, and the Knight Crier. When she graduated from North Penn to further her academics at Temple University, she continued with similar activities such as Temple University Television, where she was a director for multiple programs that were student produced. Rosenblatt was also a student ambassador for the Klein College of Media and Communication and would give tours of the communications building to prospective students. Additionally, Rosenblatt was a sister of Phi Sigma Sigma and was involved with the Honors Program in various honors student organizations. 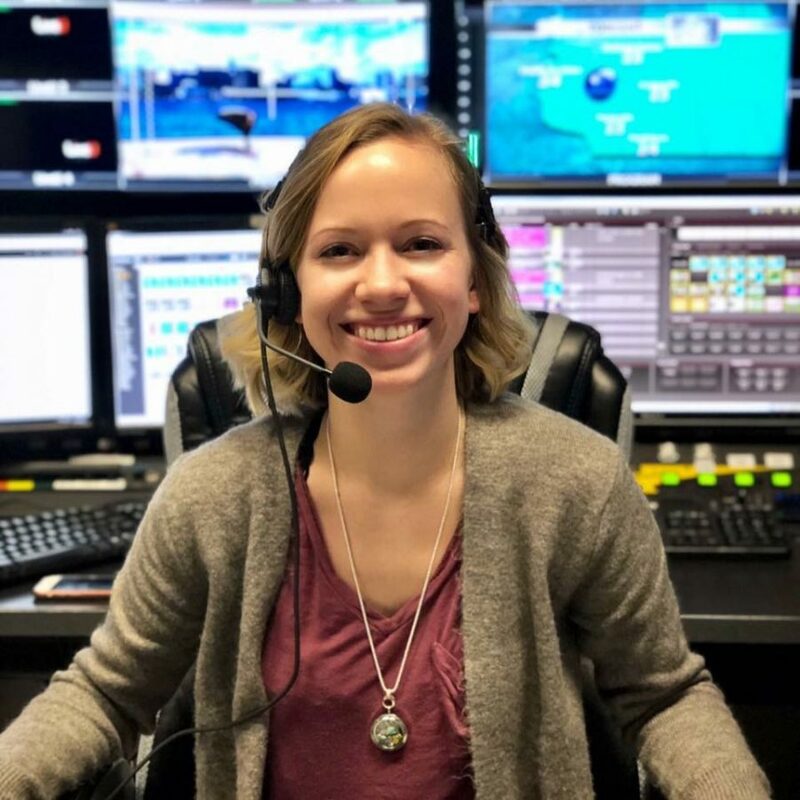 After graduating from Temple in the spring of 2018, Becca moved to Madison, Wisconsin for a job at the ABC affiliate as a newscast director/editor on the morning show. Rosenblatt moved to Wisconsin without knowing anyone, but has already made many close friends in and out of work. “I moved about a month after graduating so it was a bit of a quick transition. I’ve been working here for almost 6 months now and I’m transitioning to be a full time director since one of our other morning show directors took a different position in the company… I’m exploring Madison, it’s a nice college town, and getting to know the Wisconsin way of life! It includes a lot of cheese.” commented Rosenblatt. What was your favorite part about college? What advice would you give to high school students?